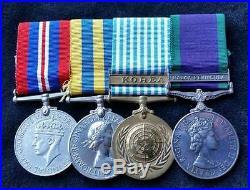 British WW2 Korean War & G. Original British Group of Four. 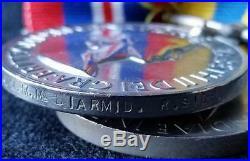 British War Medal:- Unnamed as Issued. United Nations Korea Medal:- Unnamed as Issued. 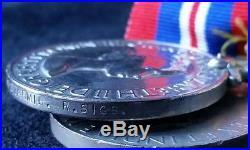 General Service Medal 1962 Clasp MALAY PENINSULA. (Driver & Corporal Royal Signals). Bank Transfer Accepted (And Preferable), And Free Of Costs Within The UK. All items have been described as carefully and as accurately as possible. The item "British WW2 Korean War & G. 1962 Royal Signals" is in sale since Saturday, December 31, 2016. 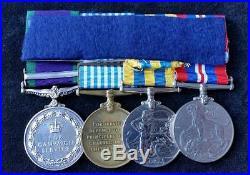 This item is in the category "Collectables\Militaria\World War II (1939-1945)\Medals/ Ribbons". The seller is "sid-cup" and is located in Kent. This item can be shipped worldwide.